It’s been quite a while since my articles on the Barbican’s 2011 Total Immersion Day devoted to Unsuk Chin, but here’s an omission from that account, which was only broadcast recently. The day began with a piano recital given by Clare Hammond, featuring Chin’s Six Piano Études. 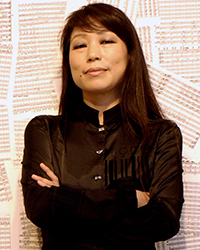 It’s perhaps not surprising, considering Chin studied for several years with György Ligeti, that she should be drawn to the étude form, yet hers are very different both stylistically and collectively from those of her former teacher. As as addendum to my coverage of last year’s Total Immersion Day devoted to Unsuk Chin (part 1, part 2), here is one of the few remaining pieces from that day, which was only broadcast a few weeks ago. Šu is a concerto for sheng and orchestra, the sheng being one of the most ancient traditional Chinese instruments, dating back over 3,000 years. Comprising a series of pipes played via a mouthpiece, its sound is something like a cross between a harmonica and an accordion; its appearance is like nothing else at all. Alongside the traditional instrument is a keyed version that enables fully chromatic tempered pitches, and it’s for this instrument that Chin composed Šu. Last year, in my article about the Total Immersion day devoted to the music of Unsuk Chin, i didn’t say much about the Violin Concerto, which was omitted from the BBC’s broadcast. However, in November they finally got round to broadcasting it, so here it is. 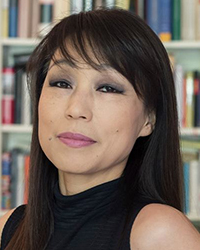 The performance, at the Barbican in London, was given by Jennifer Koh with the BBC Symphony Orchestra, conducted by Ilan Volkov. In the concert hall, Koh’s violin often struggled to be heard above the considerable orchestral forces pitted against it, so it’s good to hear the balance so nicely restored in the broadcast.